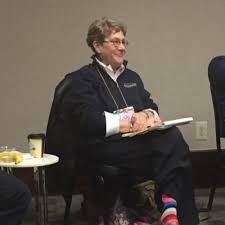 On June 11, 2018, Chicago's retorative justice community lost a beloved ally, colleague, and friend, Ora Schub, who passed away after a long and courageous battle with cancer. Many considered her as a 'grandmother' of Chicago's restorative justice movement. Ora was also a former president for National Lawyers Guild Chicago. On Saturday, August 25, at 4:30 to 7:30 pm, a memorial service will be held at the South Shore Cultural Center (7059 S. South Shore Drive) in Chicago. I am humbled by the task of trying to sum up the extraordinary life and impact of Ora Schub, my old friend, my teacher, my comrade, my inspiration, my hero. Ora spent her life, every day of it, working for justice. When I first met her over 4 decades ago she was a feisty and fearless activist, a defense lawyer representing people without funds ready, to take on every challenge with vigor and brilliance. She was a warrior and strategic thinker; she was courageous, uncompromising, insightful, a leader on many fronts. She fought against South Africa’s apartheid government, the Israeli occupation of Palestine, violence against women, and for disability rights to name just a few. She had unimpeachable integrity and a fierce commitment to equity and human rights. She was also very funny, sometimes sarcastic, and never ever self-aggrandizing. Ora formed deep friendships and loyal partnerships that she invested in, and they survived her whole life. She loved her family of origin and she also created a rich committed and diverse family with Sharon Pitts and her children, Cheryl Graves and the Arab American Action Network and Precious Blood of Reconciliation and so many of us in Chicago and beyond. As Ora moved away from formal lawyering, concerned about the adversarial and punitive assumptions underlying the way law is currently being administered, she embraced a restorative paradigm to create the world she wanted to inhabit and believed was possible. And as Ora and Cheryl Graves founded Community Justice for Youth Institute the feistiness I knew morphed, into a gentle and profound generosity of spirit and loving openness, undergirded with great strength, and a steadfast belief in every person’s innate dignity. She believed in the power of every person to grow and to transform themselves, and not surprisingly, she transformed too. With Cheryl Graves, Pam Purdie, Dave Kelly and many of you, she was a crucial voice and spirit in the creation of a restorative and transformative justice community here in Chicago. Her role became listener teacher and guide, master (but humble) circle keeper. With her abiding commitment to the power of circles and the support they manifest, she helped create loving communities throughout Chicago and wherever she trained circle keepers across the country. Ora trained thousands of people, in affected neighborhoods, inside systems, in schools, and in other countries and continents and with each training she influenced lives, instilling in even the most resistant people a belief in everyone's capacity to face their own pain, recognize the pain they've caused others, understand the societal oppressions that impact us, and work to develop the trust and right relationships that could heal all involved. Her anger about persistent systems of injustice never waned, but love, rather than fury, fueled her work. She continued fighting for a just world but she did it with a compassionate inclusive and open heart. Over the last year and a half Ora fought aggressive cancer and, during her last months, her hospital room was filled every day with more than a dozen people, visiting from every neighborhood in Chicago, all ages, races, ethnicities and faiths and many people flew in from all over the country to let her know she had changed their lives. Crying, laughing, storytelling, chocolate consumption, whispered secrets and bold song filled the room. Many people visited to make sure they had the chance to tell her about the profound impact she had had on their own lives, the dramatic changes catalyzed by her wisdom, and the influence of their experience in the RJ trainings she facilitated. They needed to report to her the deep impact she had on their community, their organization and on their own direction. They wanted her to understand the beauty and power of the ripples emanating from her loving energy and her principled work. She passed, knowing she was treasured and her life and work would not be forgotten. Her spirit will live on in all of us who knew her, all of us who benefitted from her wisdom, her humor, her humble leadership, and her generous loving spirit. The day after she passed, my friends and Ora's friends, Camilia Odeh and Hatem Abudayyeh wrote "Ora was truly a woman of the people, adored, loved and respected for her passionate defense of the marginalized and for her courage, tenacity, loyalty and hunger for justice." 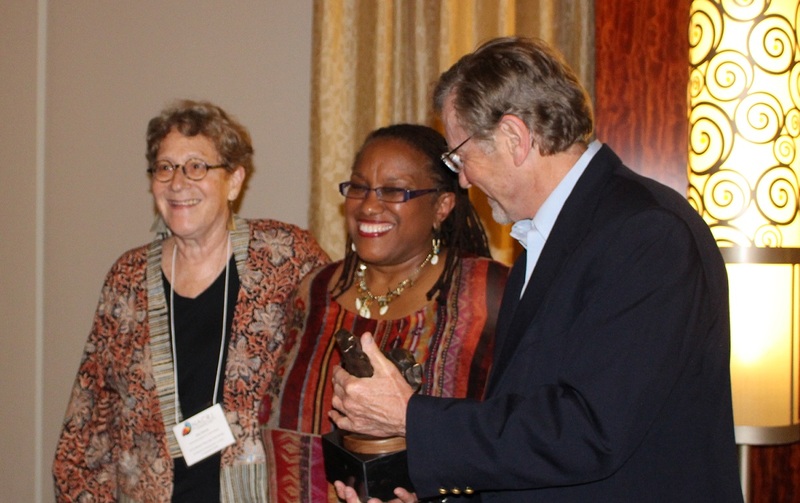 At the 5th NACRJ Conference held in Ft. Lauderdale, FL, Ora, along wtih Cheryl Graves and Robert Spicer, received the Dennis Maloney Award for Youth-Based Community and Restorative Justice, as presented by Dr. Mark Umbreit. At this time, Ora held the red Leprechaun boot once owned and worn by Dennis. While we honored her and CJYI, they used the opportunity to honor the Award's name sake with some hilarious stories about their friend - Dennis Maloney. We grieve her loss but recognize that her life was well lived in the service of others and her community. 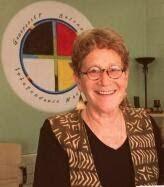 She was a valued and respected NACRJ member and we mourn her passing.